BOC and Qenos yesterday celebrated the first shipment of Australian-made refrigerant grade ethylene to the LNG export sector as part of their ten-year multi million dollar sourcing agreement. The agreement ensures that ethylene – traditionally manufactured by Qenos to produce polyethylene for the plastics industry – will now be available for large scale LNG export plants and will be delivered across the nation by BOC. Colin Isaac, BOC South Pacific Managing Director, said securing a domestic source of ethylene through its partnership with Qenos will not only significantly cut delivery time for the commodity (previous supplies were shipped from Northeast Asia), but will also provide greater supply security to the multi-billion dollar Australian LNG export industry. “BOC is proud to be supporting Australia’s local manufacturing and export industries by delivering Australia’s only locally-produced ethylene, a refrigerant required for the ongoing operation of these major LNG export plants,” Mr Isaac said. 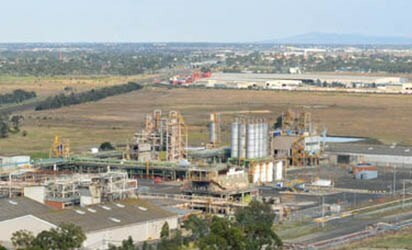 He said the company funded the investments in the supply chain, including the Qenos upgrade to the bulk ethylene filling bay at its Altona site to allow BOC tankers to fill and transport to its Dandenong site. According to him, BOC also increased capability at its Dandenong site to enable filling of ethylene into special shipping containers for delivery to customer sites. “We are investing heavily in both local plant and local partnerships to enhance our supply capability. This minimises reliance on imports while increasing reliability of supply to Australia’s growth industries in oil and gas where significant quantities of industrial and specialty gases are required,” Mr Isaac added. Jonathan Clancy, Qenos Chief Executive Officer and Executive Chairman said the collaboration combined BOC’s expertise in marketing and distribution with Qenos’ technical and manufacturing excellence in the production of ethylene. “It is a classic example of how Qenos ingeniously transforms Australia’s natural resources to add value to the domestic supply chain,” Mr Clancy added. Ethylene is an essential refrigerant for large scale LNG plants and is used to liquefy natural gas through successively cooled heat exchangers. The LNG is then pumped into insulated storage tanks where it remains until shipment.